"Jessica from A Little Gray posted a work-in-progress picture of this pillow cover she was working on and she happened to mention “flying geese” in the caption. 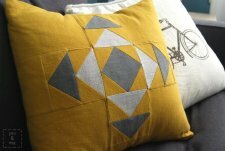 Lucky for me, because I didn’t know these cool triangle patterns had a name! (but of course they do). Once I looked up what “flying geese” were, I was hooked. 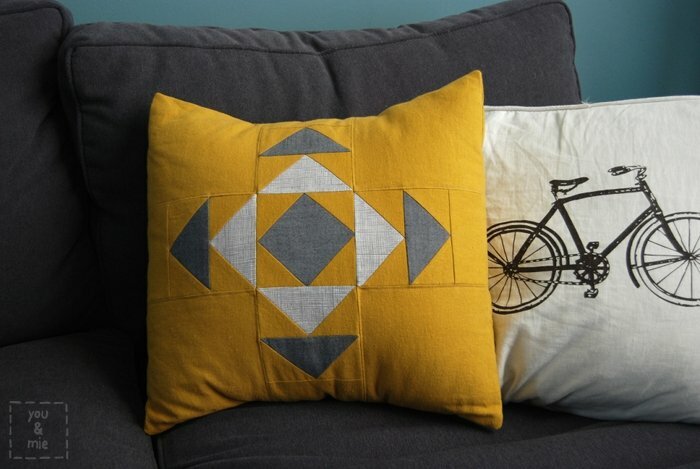 I’ve totally fallen for the triangle craze and I was drawn to this particular pillow cover. 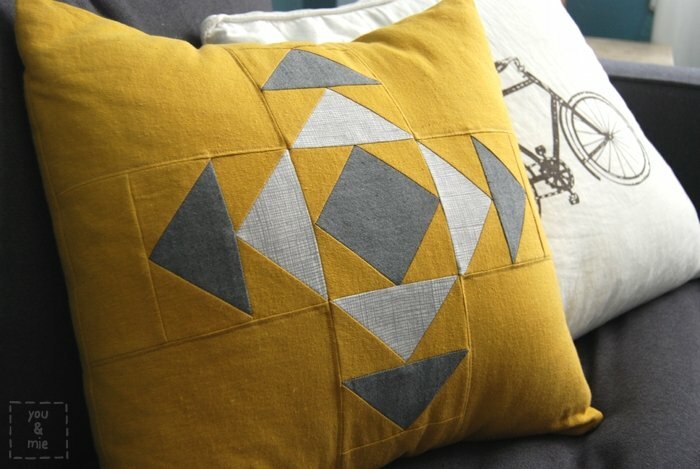 I was just going to copy it exactly, with a row of triangles, but as usual, I had to go and make it all complicated. "So I played around in my sketchbook a bit and came up with this design. I call it the Confused Geese Pillow Cover. Why confused? Because all of my geese are flying in different directions . . . get it!??"